The purpose of the street program is to prolong the life of City streets. The City of Gahanna has 325 lane miles of roads that require regular maintenance to keep them in a condition that is safe for travel. Gahanna experienced a boom in residential development over the past 25 years which has almost doubled the amount of residential streets. The annual cost of street maintenance has increased in proportion to this growth. The Service Department is responsible for rating the condition of all City-maintained streets. This is completed annually. Annual overall rating of a street is called the Pavement Condition Rating (PCR). The rating system is based on a scale of 0-100 (100 being excellent condition). The following criteria determine a street’s PCR: extent of cracking, concrete condition, crack seal condition, and pavement defects (ie: potholes, ride quality, etc). Each contributes to the overall rating; however, pavement defects are weighted the heaviest because it relates to ride quality and maintenance costs. Industry standard is for streets to rate above 75. Use our online form to report a pothole or street issue. The following is the preventative maintenance cycle currently used to maintain residential streets. The cycle determines the next application to be performed considering the previous treatment for any given street. The 3 types of preventative maintenance applications are repeated until treatments are no longer effective after which the street is rebuilt. 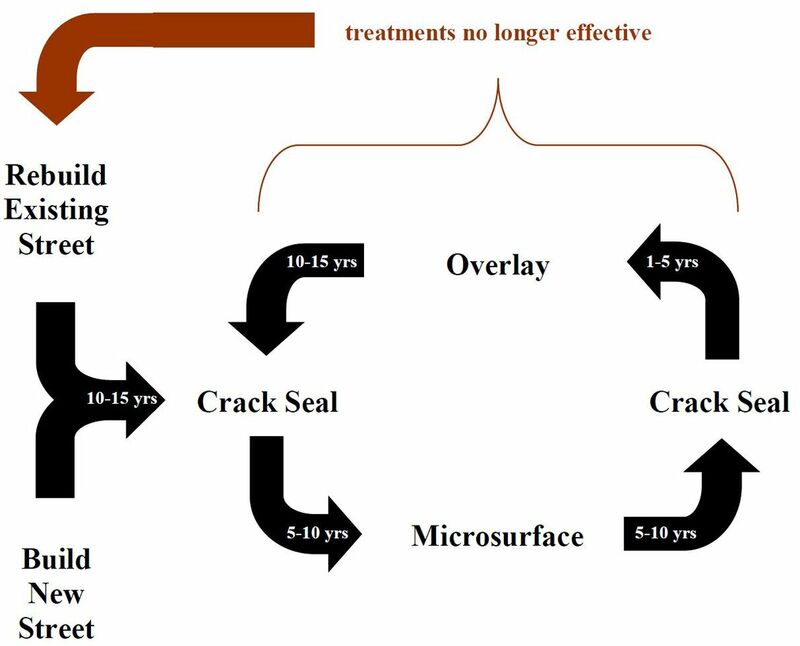 Crack seal is a temporary preventative maintenance application applied to a street when minor cracks become pronounced throughout the pavement surface. This technique fills moderate sized cracks in the surface. This reduces the penetration of water and ultimately aids in extending the lifespan of the asphalt pavement. During this treatment debris is cleaned from the cracks with compressed air and a hot sealant is applied into and across the crack. This treatment is a moving operation so traffic is maintained at all times except in the immediate vicinity of the crack sealing operation. Microsurfacing is a temporary preventative maintenance application applied to a previously crack sealed street when the pavement surface begins cracking to the extent that the existing crack seal is no longer suitable. This technique spreads a thin layer of surface treatment over the existing pavement. 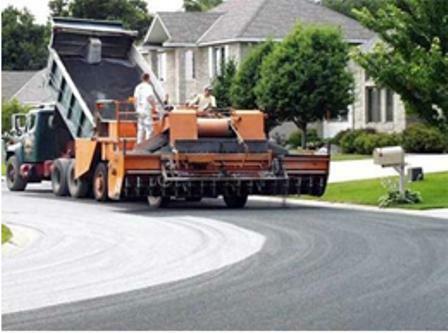 The material consists of small gravel, an asphalt binder and additional additives. The microsurface binds to the pavement to protect it from sun, snow, rain and damage from vehicles and ultimately aids in extending the lifespan of the asphalt pavement. The rough surface is hard-wearing which promotes traction and prevents slipping. When the material is first applied it may appear brown in color and very course. Over several weeks it will appear more black in color. Travel on the street is prohibited while the material cures which typically takes three to four hours. When the pavement surface has reached the end of its useful life, the deteriorated asphalt layer is removed and replaced. 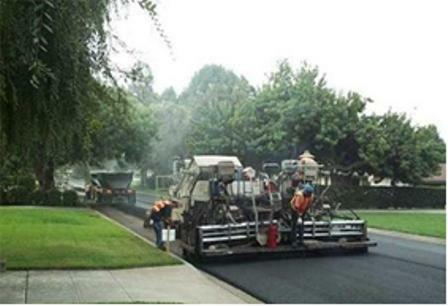 This is also known as overlay, resurfacing or paving. This technique removes, or planes, the top 3-inches of the existing pavement and installs a new structural layer of asphalt. It may be up to 10 days after the planing occurs before the new asphalt surface is installed while repairs are be made to the base pavement. Sections of deteriorated curb may also be identified for repair and curb ramps are made ADA-compliant if not already in that condition. Curb repairs in front of driveways will require time for the newly placed concrete to cure before it can be opened up to vehicles. Traffic is maintained throughout the treatment, but driveway access may be restricted for up to 7 days while curb repairs are completed. 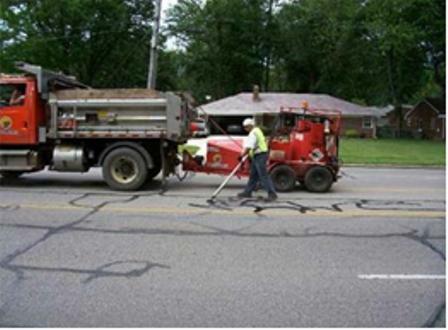 This treatment will provide a smooth pavement surface which should yield 25 to 30 years if properly maintained. When other treatments are no longer cost effective, the pavement is reconstructed. The existing pavement is removed entirely and new pavement is installed. This includes the 3-in asphalt layer along with the 7-inch concrete base. 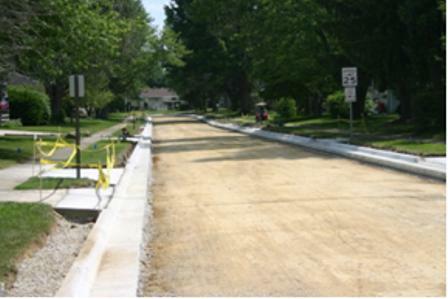 Reconstruction typically includes new curbing and the partial removal and replacement of driveway approaches. Curb ramps at intersections will be made ADA-compliant if not already in that condition.